26 January 2017, at 6 p. m.
The Holocaust or Shoah was one of the worst crimes against humanity that interfered in the basic values of the civilization. During the Second World War, millions of people were captured in cold, calculated and industrialized process of Nazi persecution and eventually extermination. On the occasion of the International Holocaust Remembrance Day we cordially invite to the commemorative event “Stolen Childhood”. The event was prepared by the students of the Maribor Second Grammar School, who will also perform in the cultural programme. Their mentor was Prof Alenka Miklavc. The event will be organized within the project Shoah – Let Us Remember 2017. The honorary patron of the project Shoah – Let Us Remember 2017 is Borut Pahor, the President of the Republic of Slovenia, who will also attend the commemorative event. We cordially ask the visitors to confirm their presence at the commemorative event on the telephone number +386 2 252 78 36 or via e-mail to info@sinagogamaribor.si. 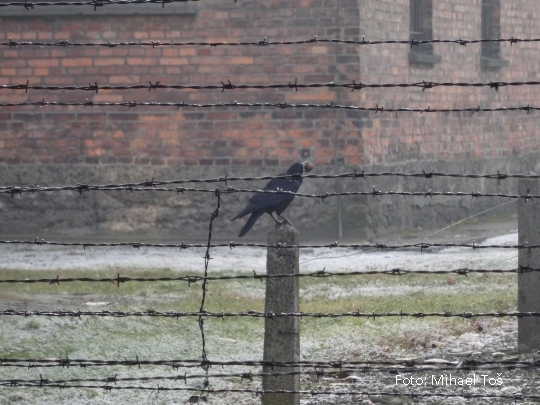 Forward to "Dachau – Mauthausen – Risiera di San Sabba – Jasenovac – Auschwitz"
Back to "Each Year One Name: Ivan Breskvar"